75th and Sedgwick: Guest Post: Melissa's natural beauty products! 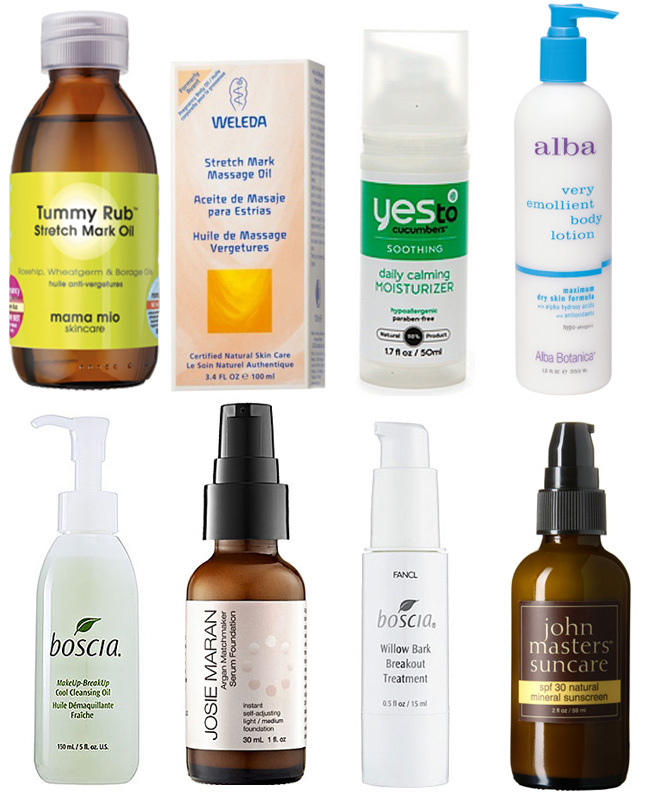 Guest Post: Melissa's natural beauty products! Today, we're bringing your our first ever guest post! Blythe's cousin Melissa (you may remember her bedroom) wrote to us with some product recommendations for our friends and family who are expecting as well as those of us who aren't expecting... awesome beauty tips for all! Thanks, Melissa! Melissa, Finn and #2 on the way, due later this summer! At the beginning of my first pregnancy, I read the book The Complete Organic Pregnancy. Listen to me closely. If you are pregnant, do not read this book. 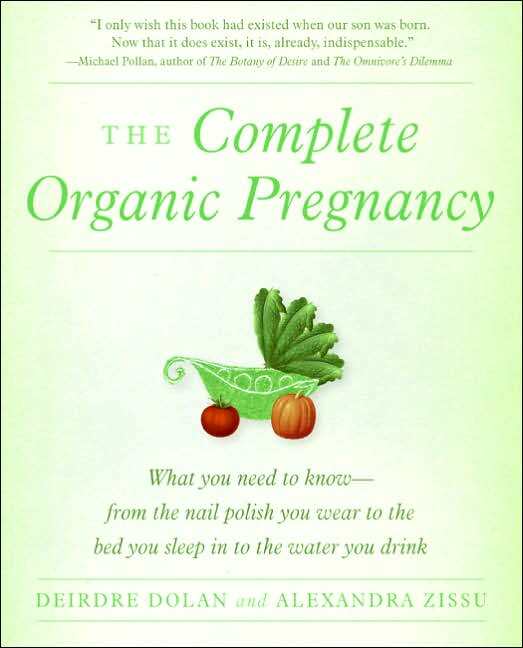 If you are thinking of becoming pregnant, do not read this book. It will scare the bejesus out of you and convince you to live in a bubble for nine months. But, the book did convince me to take a good look at some of the things I was putting in and on my body and I did do a bit of an overhaul. One of the main places that I focused my overhaul was on the beauty products that I use. Anything that was being absorbed into my skin I took a really close look at. Let’s face it, no matter what society leads you to believe, being pregnant does not feel goddess-like when you are going through it. Your skin is out of whack, your hair changes texture, you are bloated and a host of other things that we don’t need to get into here. During this time, using products that I felt comfortable with and made me feel good were really important and worth a splurge. Weleda Stretch Mark Oil: No joke, when I was in the hospital to deliver my son, the nurses were all commenting on my perfect, stretch mark free, smooth skinned stomach. These ladies see a lot of preggo bellies, so I’ll use them as my testament that this stuff works wonders. It absorbs quickly and smells pleasant (smells are SO important as your nose becomes super strength). This pregnancy I have switched to using Mamma Mio oil for no reason other than Gwyneth herself recommended it - I like it very very much, although a little more expensive than the Weleda. Body Lotion: During both of my pregnancies my skin was incredibly dry. I went through lotion at a rapid pace. In an effort to find something that didn’t drain my wallet I started using Alba Botanica lotion. It’s great, not too wallet busting, and all natural. 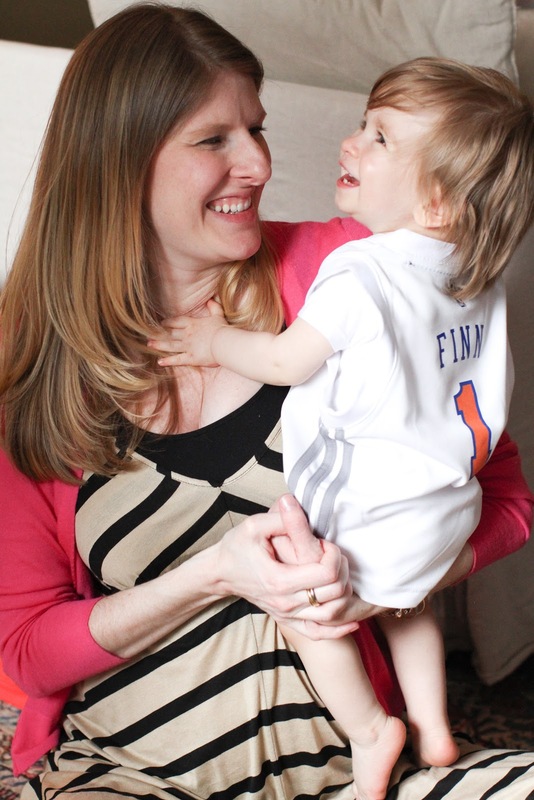 During both of my pregnancies, my skin was incredibly dry and splotchy. I know a lot of people suffer from acne during this time, and I have a great product to help with that too, but for my dry, red skin, this Say Yes to Carrots facial moisturizer is pretty awesome. It’s cooling and not at all heavy. (although I have been paying $18 at Duane Reade and now this post has made me rage. I hate you NYC prices). For a cleanser, I like to use something mild during my pregnancies, since my skin does tend to be so dry. This little Boscia gem gets rid of all the NYC debris, but never ever dries out my skin. To help combat said redness, I use this Josie Maran foundation. It has argan oil in it, which again helps calm red, dry skin and this stuff literally makes my skin look flawless. I would buy stock in this product if I could. For those of you that do have issues with acne during pregnancy, I use this as a spot treatment. No nasty stuff in here, so it’s safe to use (unlike over the counter acne treatments during pregnancy). I love the entire Boscia line, so anything you grab from here will be amazing. Now that it’s getting close to summer, I want a natural spf for my face. I thought this would be a challenge, but a friend just recommended I try John Masters. I’m running out at lunch today to purchase this and will let you know how I like it! That’s it – these are my favorite products that make me feel a little pretty every day. I’d love to hear any additional recommendations that your readers have! Thanks for the beauty updates! I just ordered some of the Weleda Stretch Mark oil...always nice to hear what works for other women during pregnancy! Your article about exfoliating the skin to remove dead cells and have a glowing skin was good. It helped me know a lot about the benefits of skin care.